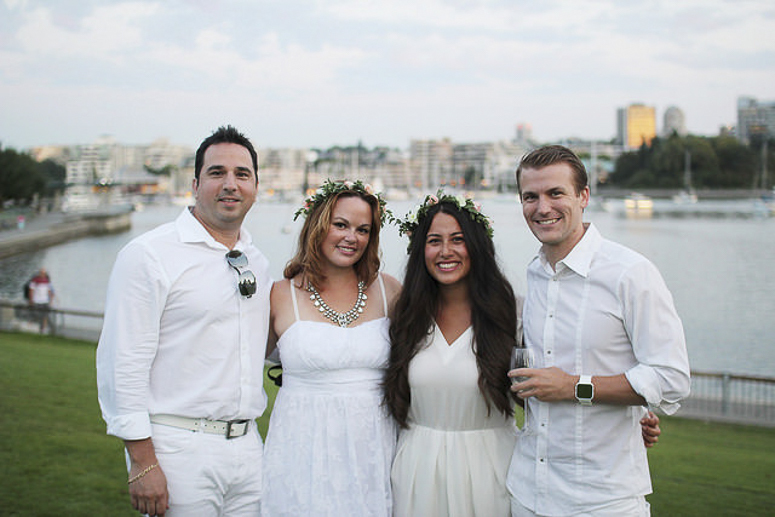 I am so excited for our annual double date night to Diner en Blanc. This will be our 4th year attending. Each year we get smarter about what to pack, what to wear, and what to pass on, so I thought I’d share some of our 4th year wisdom with you all. Pretty Linens can make your table scape so much more lovely then a boring white tablecloth. Think lace, eyelet, or even layering a couple cloths to create a unique look. Flowers for your table are a must. This is the one area where colour is permitted. We tend to not go too bold with the colour. Soft pastels look gorgeous popped against all the white. Lighting is always pretty on a table. 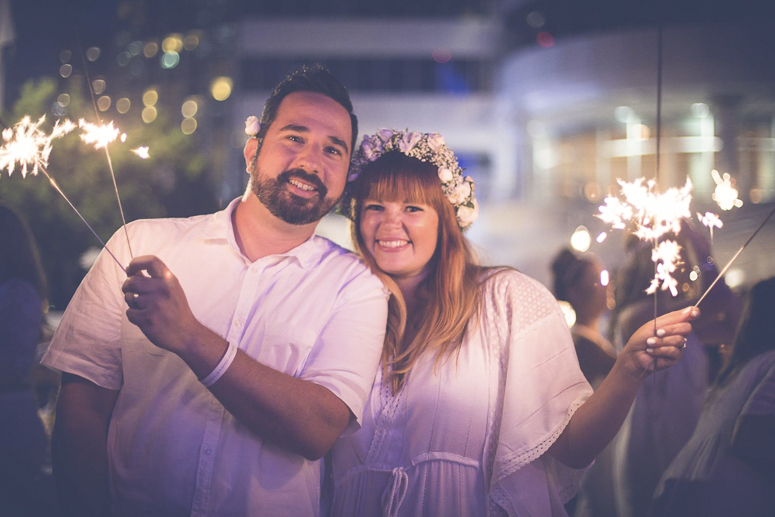 Diner en Blanc is fire free, so start hunting for those little LED candles. Bring a few light weight items for your candles to twinkle in. Decorative birdcages, lanterns, or whatever other creative items you can think of. Just remember you have to pack and carry it so don’t get too crazy. Your table leader will make sure you get checklists of all the things you need to bring, but here are a few musts I bring every year. Wear head to toe white. I know this sounds like a given, but I am always amazed by the girl who shows up in a gold dress. Really? This happens every year. Sure everyone may give her a look, but it totally takes away from what the event is all about. Just wear some beautiful pure white and make it your own. There are other ways to stand out in the crowd. Add embellishments. There is no need to keep your look boring. I’m not so much into the over the top “costumes” people show up in, as it’s just not my style. It gives us all something fun to look at though. For tamer fun ideas…why not wear some jewelry in your hair? 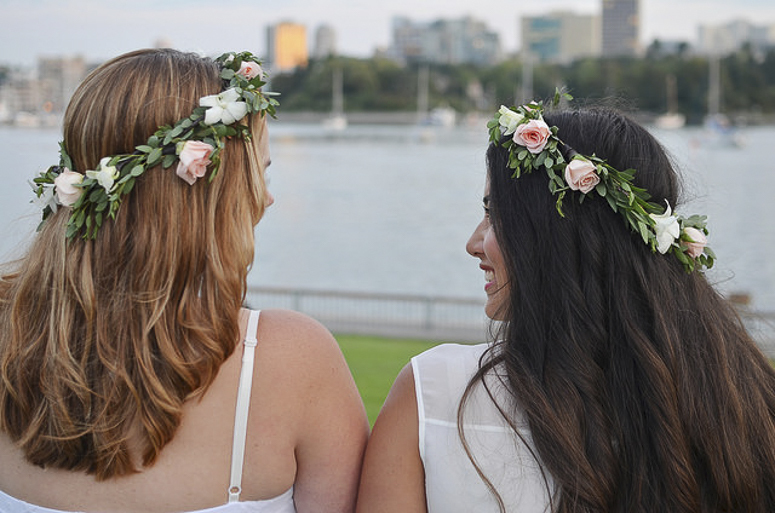 Try topping off your glam boho look with a floral crown? Add a dramatic caplet to your simple frock? Just be sure to plan your outfit ahead of time. I am usually running around at the last minute trying to find something to wear. I am happy to say my new dress for this year is hanging in my closet already. I ordered it online so now I just need to work on the details. For guys, embellishments can be a bit trickier. 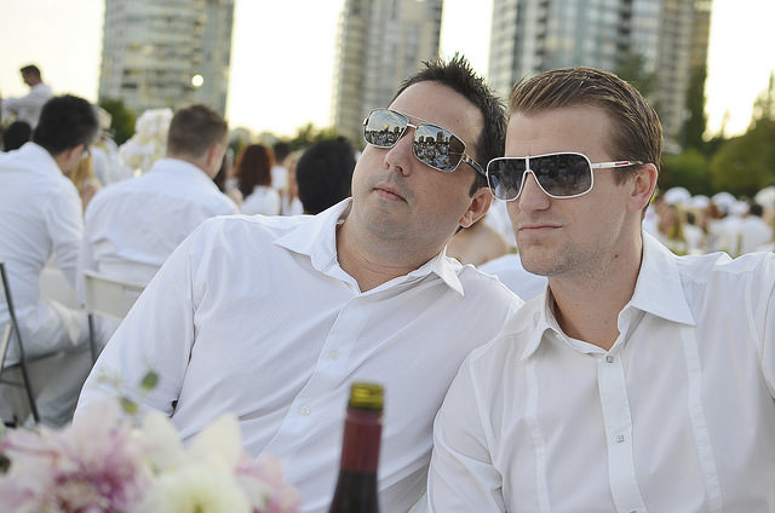 They can still have fun though with cuff links, a bow tie, hat, and of course, the perfect pair of shades. Ladies, hard pass on wearing your heels to the event. You will be lugging stuff to the soiree, so keep your footwear cute but comfy. A pair of white sandals are the perfect thing to make your life a whole lot easier. If you can’t live without your heels, change into them once you are set up. Just remember that, as the location is a secret, there’s no way of knowing ahead of time if you will be on grass, sand, or some other kind of dangerous surface for heels. You’ll also be happy to have a pair of flats in your bag for the end of the night. Don’t make overly complicated food. We made this mistake our first year. We spent the whole day cooking and prepping our dinner. It was delicious but we were exhausted by the time we got there. We have stuck to a more picnic style menu since. 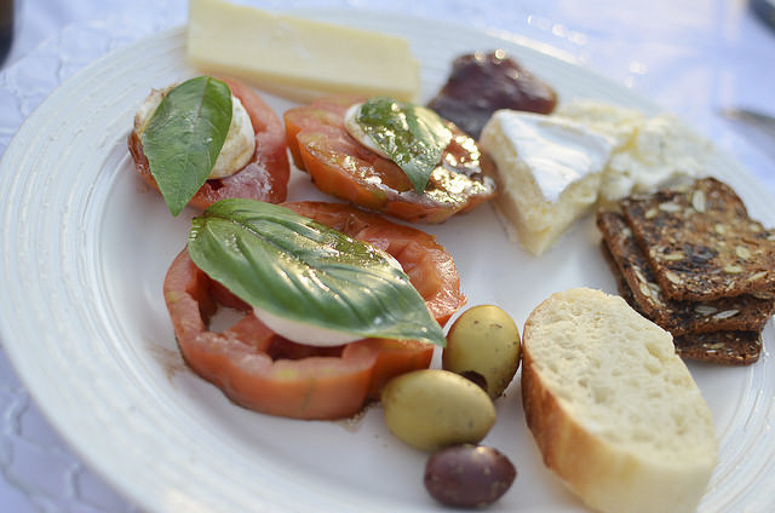 We love charcuterie plates, salads, breads, olives, fruit, and of course a dessert. I also totally recommend a thermos of cappuccino to cap off the evening. Ladies, you really don’t need a purse. I find it’s just one more thing to carry. I often throw a tiny clutch in one of my bags with a lipgloss, some cash (cab fare for afterward), and my cell. It will be all that you need. Lastly, make sure you take it all in. Once your table is all set up, take a walk around and see all that the event and the venue has to offer. There are sure to be some surprises around every corner. Snap those pics! 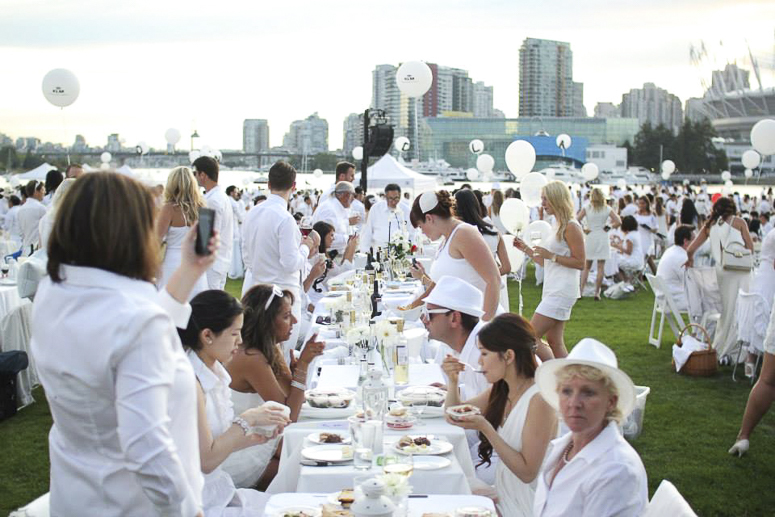 Wishing all of you going this year a Happy Diner en Blanc! 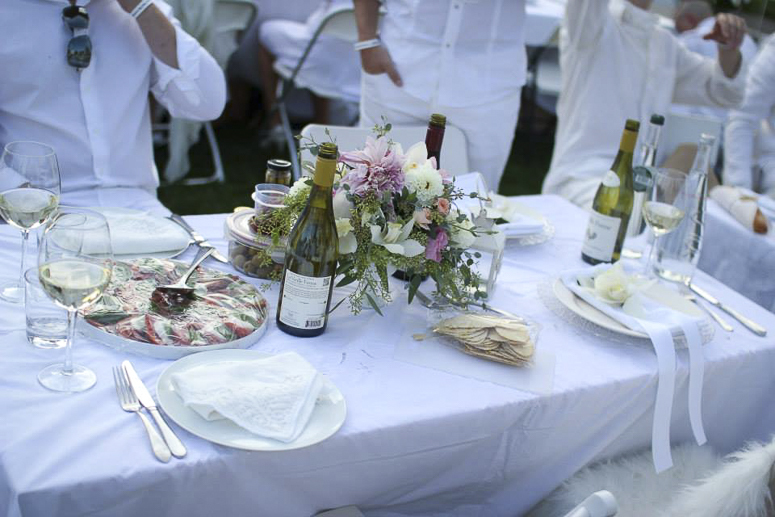 Don’t forget to head on over to Alicia Fashionista for more fab info on Everything you need to know about Diner en Blanc! Photos by: Alicia Winnett, Kerry Lawrence Photography, and my own. Thanks for the tips! I’m so excited to go this year although I realized I probably need to start from scratch on all the materials! Where did you get your table/chairs etc? And how far was the walk in recent years?